Maternity Action, the charity that fights against maternity discrimination, created its biggest ever campaign with an exhibition involving 54,000 white carnations. Each flower represented the 54,000 jobs lost or careers interrupted, and the charity is calling on the government to "end this unfair treatment of women and mothers". 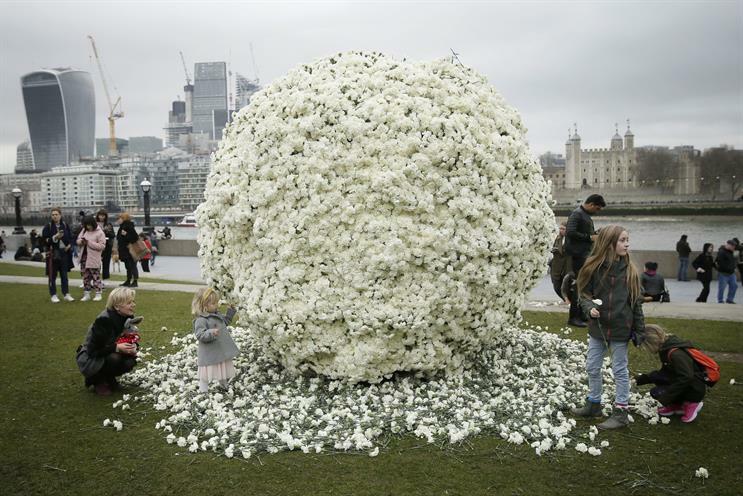 The activation "#54k" has been created by Mother, and was located on London’s South Bank on Mother’s Day (11 March). Rosalind Bragg, director of Maternity Action, said: "It is 2018, yet one of the biggest barriers to gender equality in the workplace is the discrimination that mothers face. "We want everyone to add their voice, sign our petition and encourage the Government to act now to effect lasting change."